Strange ice balls that washed up on the coast may have been caused by oil pollution, an ecological expert has said. 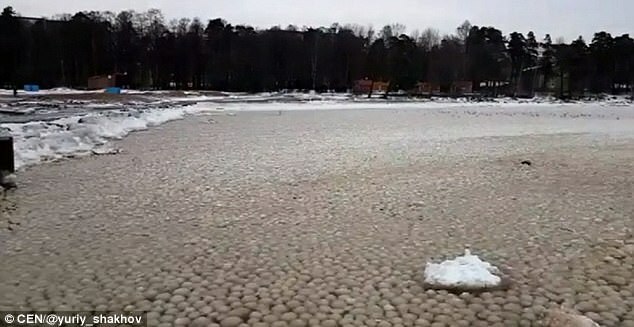 A video shows the strangely uniformly sized ice balls washing up in the Gulf of Finland in north-western Russia. 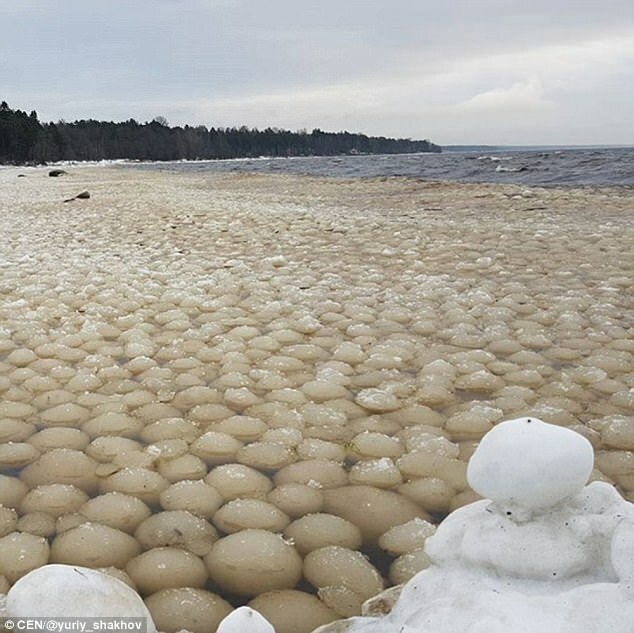 Ecologist Ilya Leukhin told local media that oil spills in the water could have created the ice balls but she was not the only one with a possible explanation for the phenomenon. Some believe that snow was rolled together by the waves, or that what look like ice balls could in fact be stones covered with ice. The balls were up to 17 cm (7 inches) in diameter and no definitive explanation for their existence has been accepted. Others, though, had less plausible explanations as to why the ice balls had formed. 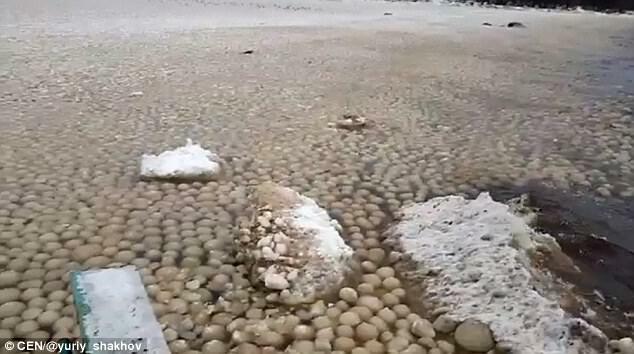 In 2014, hundreds of beach ball-sized ice boulders that washed up on the shores of Lake Michigan. The balls, weighing up to 75 pounds, form when chunks of ice break off the large sheets of ice on the lake.